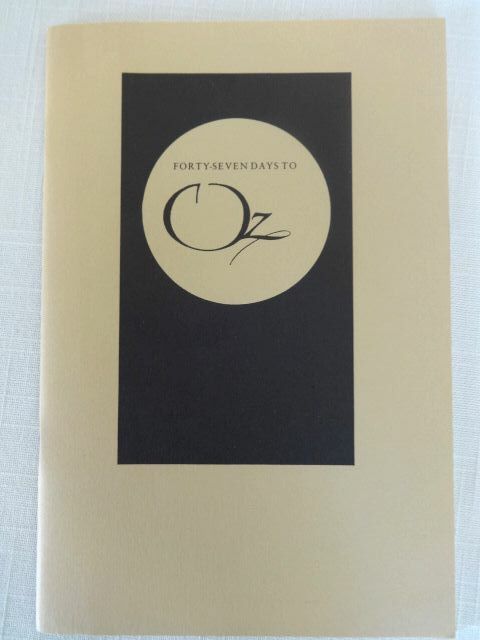 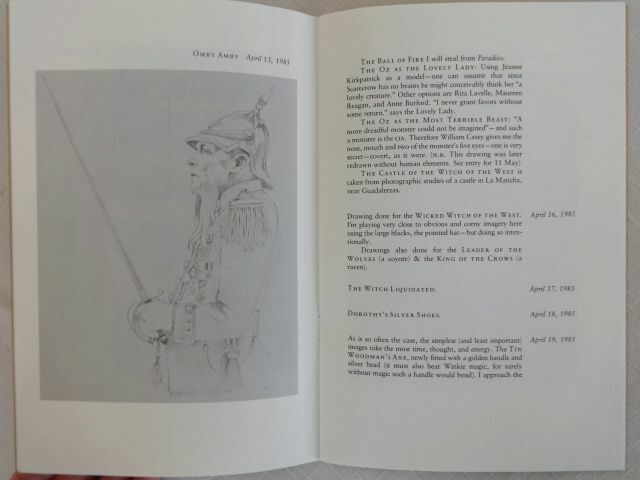 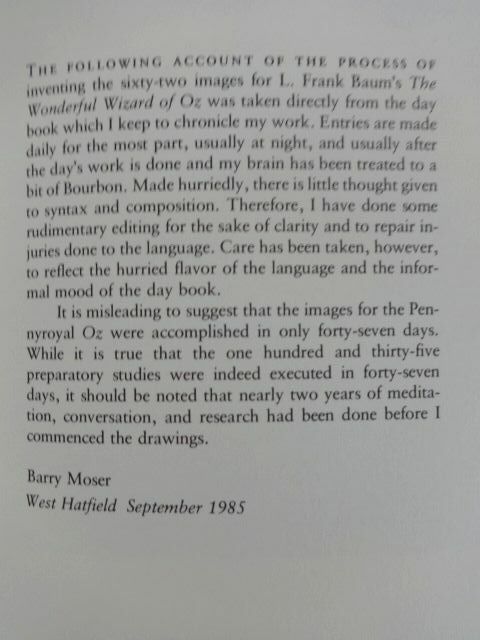 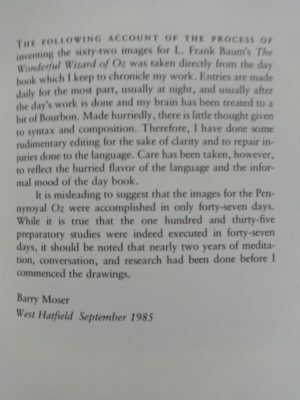 Here is another unusual item for the serious Oz collector, Forty Seven Days to Oz by Barry Moser. In 1985, a special limited edition of The Wonderful World of Oz created by famed woodblock artist Barry Moser. 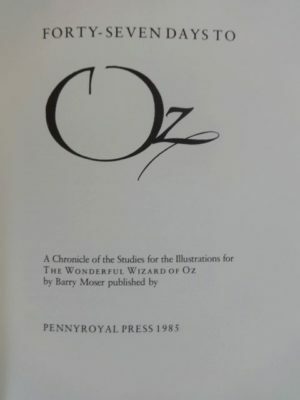 Moser created 62 woodcut designs for his unique version of The Wizard of Oz, which was hand-printed in five colors and published by The Pennyroyal Press in a limited edition of 350 copies. 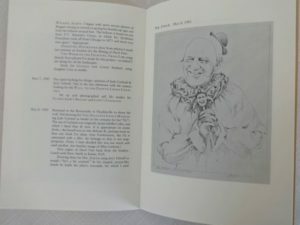 It was originally published in 1985 and sold for $1,000. 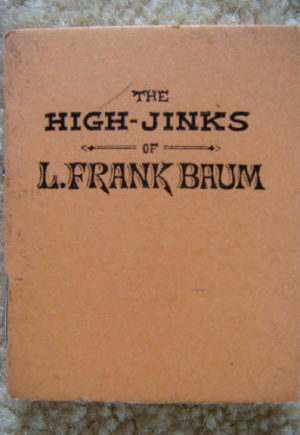 Later, in cooperation with Pennyroyal, the University of California Press published a trade edition. From what I can find, this booklet, also published by Pennyroyal Press in 1985, was produced to sell with the limited edition. 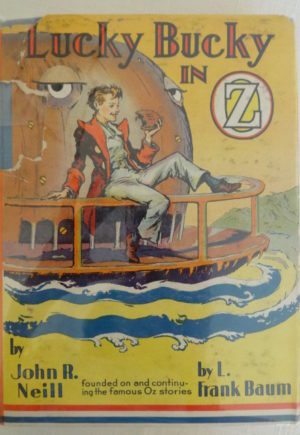 But, if you have the trade edition, it would be nice to put with that as well. 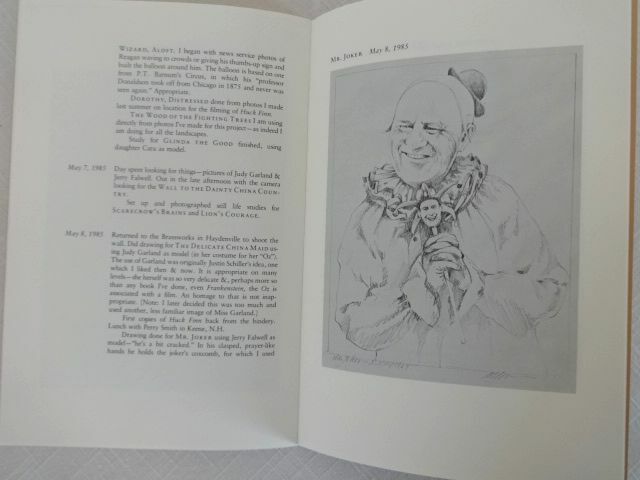 The booklet is 28 pages and describes in Moser’s words how he created his iconic figures, some of which are modeled on real people as diverse as Judy Garland and Nancy Reagan. In very good condition with light wear.